Where does your seafood come from? 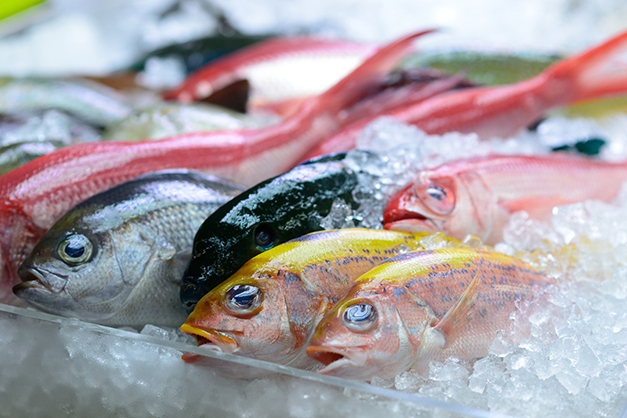 The health risk of eating bad seafood is a grave concern for every consumer. The ethical harvesting of seafood, which not only protects vulnerable marine ecologies but also the workers, is of growing concern. Sadly, you just can’t find this information on standard product labeling. There is a marked lack of transparency in the food supply chain. Where food originates and how it ends up on your table is not information that is readily available to consumers. Recent stories on forced labor in the shrimp and fishing industries have made consumers who wish to eat ethically-sourced foods demand better information from suppliers. Organizations such as the World Wildlife Fund (WWF) are also concerned that marine products are sustainably harvested and aren’t threatening sensitive populations. The United Nations Food and Agriculture Organization (FAO) reports that around half of the world’s marine fisheries resources are fully exploited, while a quarter are over exploited. Now blockchain technology is being utilized in trials in the Pacific Island fishing industry to facilitate tuna traceability. This is intended to halt illegal and unsustainable fishing practices. The WWF has partnered with ConsenSys (a blockchain software technology company), Traseable (a fisheries traceability tech company) and Sea Quest Fiji LTD (a tuna and processing company) to explore ways in which blockchain can help trace the origins of tuna and follow it along through processing and transport to ensure ethical and sustainable practices and increase safety for consumers. The Bait-To-Plate scheme will use radio frequency identification (RFID) to tag fish as they are captured on the boat. This tag will upload the fish and its location to the blockchain system. During processing, the fish will be fitted with a cheaper QR code tag which will track the fish along its journey to the supermarket shelf. The Bait-To-Plate system will mean that fish obtained through unregulated fishing or processed using slave labor will not be able to make it onto the supply chain. Blockchain monitoring has the power to transform the seafood industry. Traditionally wracked with unethical and unsustainable practices, consumers are now able to ensure the fish they buy is reliably sourced.